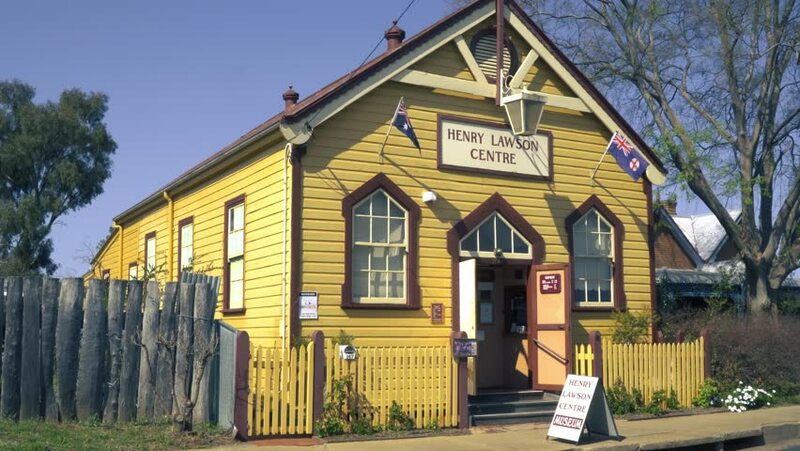 Gulgong, New South Wales / Australia - Sept 10 2018: A timber weatherboard building houses the museum dedicated to Australian poet Henry Lawson in a small country town on a sunny day. 4k00:27FORD, ENGLAND - 7 SEP 2018: Beautiful stone homes and garden yards England. Rural country old stone buildings. Town of Ford near quaint post office and cafe. Lady Waterford Hall local history museum.